The Egyptian Higher Military Council has cancelled the country’s constitution and disbanded parliament, according to an announcement made on Egyptian state television on Sunday. 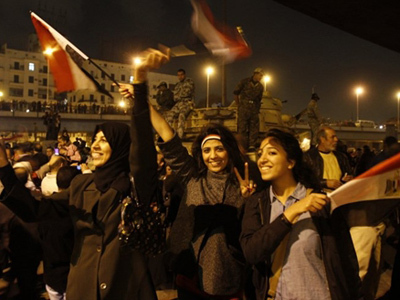 The Higher Military Council has held power since Hosni Mubarak resigned as president on Friday. The council also announced that it will continue to run the country for six months, or until the new parliament is elected. A committee is now being formed to amend the present constitution, which was adopted in 1971, and establish laws for the interim period. After this, the new text of the constitution will be voted on in a referendum. During the transition period the head of the council will lead internal policy making and represent the country internationally. The Higher Military Council ordered the new government, headed by Ahmed Shafik, to continue its work until the new parliament and presidential elections are held. The Egyptian military are planning to ban protest rallies in order to ensure the country emerges from the turmoil as soon as possible. 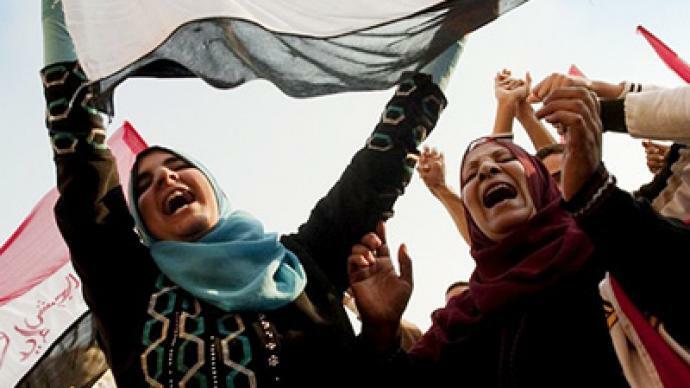 The military has begun clearing the debris and makeshift shelters from Cairo’s main square – which was the epicenter of the nationwide uprising, though some protesters are still refusing to leave. There were some scuffles in Tahrir Square on Sunday as police sought to remove remaining protestors from the square. Soldiers and military police took down protestors’ tents and witnesses said they beat remaining protestors with sticks, AP reports. On Saturday, thousands still remained at Tahrir Square in central Cairo. 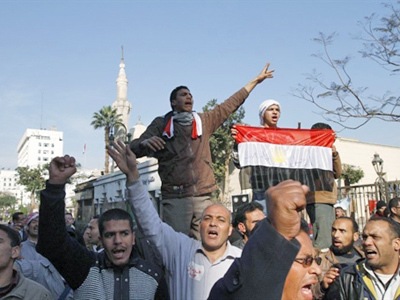 The crowds were cheering Mubarak’s resignation and a core group of pro-democratic activists demanded the country’s military adopt democratic reforms. Activists demanded that the Higher Military Council, which is currently running the country, lift the state of emergency, Reuters news agency reported. Other demands include the release of political prisoners, disbanding of military courts and wide civilian involvement with the transitional process. New military leaders addressed the nation on state television on Saturday, pledging to hand power to an elected civilian government. They promised to stick to all existing international treaties and oversee peaceful transition to peaceful life. State television reported that the curfew in the country is becoming shorter and is now in effect from midnight to 6am, Al Jazeera television reported. Reuters news agency cited a security source at Cairo airport as saying that some Egyptian officials have been banned from leaving the country without permission from the state prosecutor or the army. "The necessary procedures were taken to implement these instructions that aim at preventing attempts by some figures who held responsible positions during the past period from escaping the country so not to be questioned," said the source. "This includes ex-ministers, top officials and heads of companies." 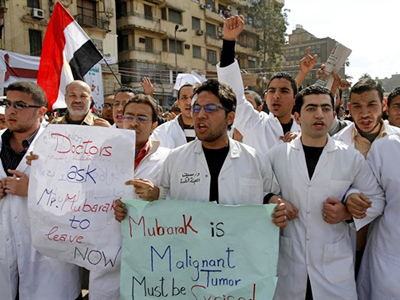 This comes as a follow-up to a travel ban imposed upon three former ministers and a former officer of the ruling party, which was announced during the uprising in Egypt. The officials were accused of wasting public money and abuse of office. Their assets were subsequently frozen. 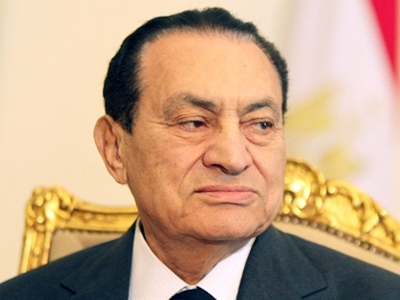 President Hosni Mubarak finally stepped down on Friday, ending a stand-off lasting more than two weeks. Riots that had been shaking the country starting January 25 reportedly claimed lives of almost 300 people. 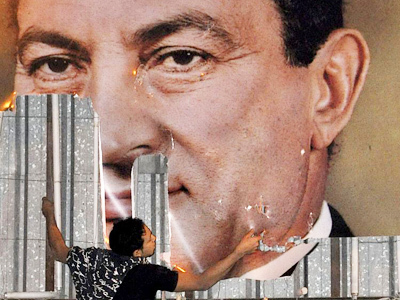 Mubarak’s resignation was met with joy and enthusiasm both in Egypt and across the world. Russian president Dmitry Medvedev announced on Saturday that he believes that a strong and democratic Egypt plays an important role in the Middle East peace process. According to author and Middle East expert Tariq Ali, now hopes in Egypt are high that a democratic candidate might become next Egyptian president. ­The current Egyptian cause is a failure for the United State’s policy in the country, said author and journalist Afshin Rattansi. Meanwhile Professor Seyed Mohammad Marandi from the University of Tehran says the United State seems very desperate. Washington he thinks is losing ground in the region. 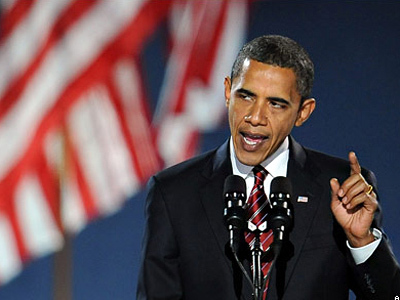 ­"Americans know that they are losing out in the Middle East. And the Middle East is becoming independent and even its key allies are no longer stable, such as countries and regimes like Jordan, Saudi Arabia and Yemen. It is not clear how long it will last. The United States is in serious trouble on all fronts. It is in trouble in Iraq, in Afghanistan, in Lebanon, in Tunisia, in Egypt. The Americans are desperate. They are trying to think about change in Iran, but the fact is that the Islamic republic of Iran is highly popular. The small group of people who rioted in downtown Tehran today, which are no more then a few hundred, constitute a small minority. Iranians basically want their independence, they want to remain independent." ­Oliver Miles, Middle East expert from the UK, doubts that Americans can control what Egyptian officials are going to do next. He also believes that Egypt has the chance to build a democracy.